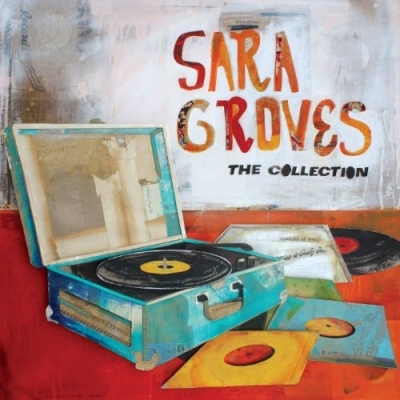 Talented singer/songwriter Sara Groves celebrates 15 years of making critically acclaimed music with the release this week of 'The Collection', featuring the best and brightest from her last 10 studio albums. In addition to 23 songs from Sara's repertoire, the two-disc release includes four brand new songs, 'Strangely Ready', 'Blessed Be The Tie', 'Lay It Down' and 'Kindness of Strangers'. Since her debut release, Sara Groves has become one of the most critically acclaimed artists in the Christian music industry, with three Dove Award nominations, being named CCM's Artist of the Year and receiving rave reviews and media highlights from Billboard Magazine, CCM Magazine and Christianity Today, among others. This fall, Sara and friends Andrew Peterson and Bebo Norman will embark on the 'In The Round Tour'. The multi-city tour begins in September and runs through until November, sharing stories from each artist's latest releases.